A few short days ago I was talking with a reader that mentioned a certain area of Epcot that they felt was entirely underrated and a "hidden gem" of sorts of the Walt Disney World experience. To me, this seemingly simple moment of discovering a "hidden gem" spot during a WDW trip is something that is a bit hard to describe. As you travel through the parks, occasionally you'll come across a spot that just clicks with you and is something you really enjoy for a shockingly trivial reason. To me, that moment and type of location is oh so often found in the simplest of experiences in the most trivial moments of the vacation experience. For instance, you wont find an attraction on my list in the generic sense of the term but at the same time you may find little tucked away areas of the parks and resorts that many entirely overlook. They're not big, exciting locations, but sometimes there's beauty in true to life simplicity. A moment sitting on a bench away from the crowds or simply away from the attractions can open up a world of possibilities. Sometimes it frees your thoughts and allows you to escape, even to a greater sense than the parks do on a daily basis for many of us. If you're one of those people that goes all out and does nothing but jump from attraction to attraction your entire trip, truthfully this list may not be for you. But, for the rest of you, keep reading and you may discover a little area to uncover during your next Walt Disney World trip. If that sounds like a good plan, keep reading and we'll share a few of what we consider "Hidden in Plain Site" locations in the parks. For years, if I'm completely honest, I looked at the Swiss Family Treehouse as nothing more than a lot of stairs and that's certainly a regret of mine, but at the same time a blessing in disguise. On a relatively recent trip, heavy crowds forced us to think outside of the box and take the time to enjoy a few of the simpler aspects and attractions of Magic Kingdom. In doing so, I convinced myself to give the treehouse another chance and I'm glad I did. 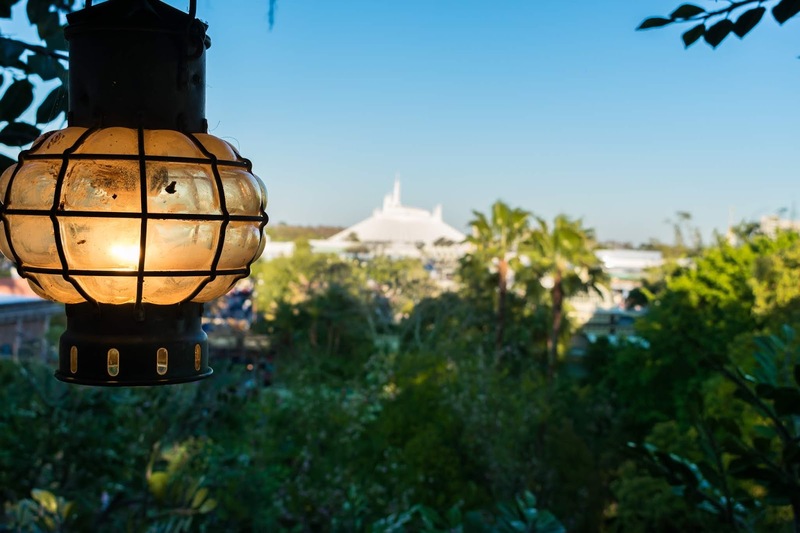 As you embark in climbing the multitude of stairs leading to the top, you're greeted by some of the most spectacular and vastly overlooked views in all of Magic Kingdom. From your vantage point high in the tree, you can see Space Mountain clearly in the distance and can witness Adventureland from an entirely new perspective. If you're lucky enough to have a few minutes at night, the views are improved upon and changed in a unique way in the dimly lit light of the staircases and classic lamps of the structures that make up this impressive treehouse structure. Once again, this garden is a bit tucked away and out of sight of the average guest. 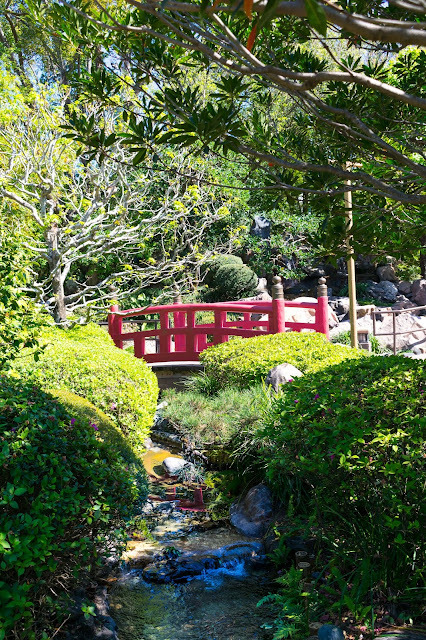 Over in the Japan Pavilion of the World Showcase, a little garden welcomes guests into a sensory experience of wonderful smells and the gentle sounds of water flowing over rocks and through little streams slightly elevated above the World Showcase promenade near Katsura grill. If you've not taken the time to at least quickly wander through the garden, it's worth a few minutes or even potentially longer to enjoy a moment of true simplicity and beauty in the classic nature of the situation Imagineering so expertly developed. It's culturally representative of Japan but at the same time features that uniquely "Disney" touch that makes all the difference in setting the scene for a memorable moment in the parks. The Canada Pavilion is, in my opinion, the most overlooked and glanced past pavilion in all of Epcot. If you ever take a moment to watch guests at this point in the World Showcase, you'll typically see them glance up at the pavilion and keep on walking. Honestly, that's a huge mistake. The Canada pavilion is far more diverse and far more unique than most guests give it credit for. As you walk up the stairs and head towards the back of the pavilion you'll find a small staircase that leads towards a large waterfall. 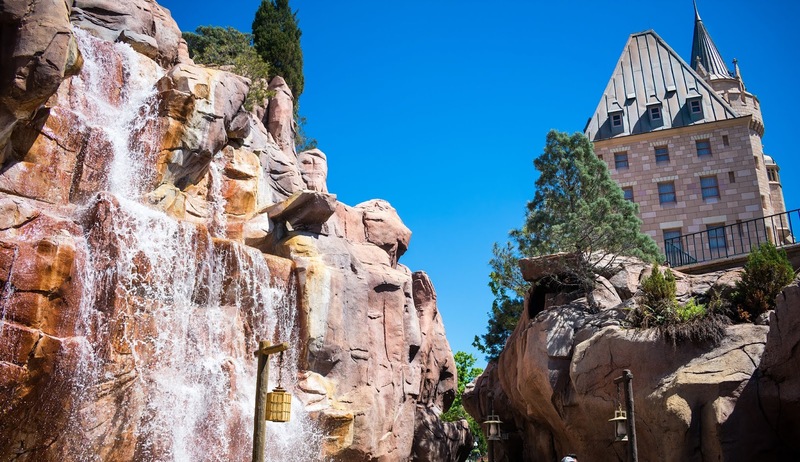 If you walk right up near the waterfall you'll find a small path leading the way to the gardens of the pavilion that open up to the area near the entrance to Le Cellier steakhouse (a must-do if you've never tried it!). Shockingly, the area is very peaceful and is also a great place to catch a glimpse of Illuminations from a new perspective. You will miss out on some of the low level fireworks, but the atmosphere is, in many cases, worth the trade off. Magic Kingdom is a treasure trove of Disney history but East Center Street is unique in that many guests walk past it day after day and trip after trip without any recognition or recollection of what it is or may hold. Don't get me wrong, in essence East Center Street is a narrow street jutting east about half way down Main Street USA across from the Emporium. The street itself literally goes nowhere and simply ends after about 15-20 yards, but it's clever seating area and hidden touches create a great "escape" from the park. You can sit back on a bench or small table and listen to the sounds of Main Street, the singing lessons hidden in the cracked window above, and watch the guests hustle and bustle around Main Street. It is, without a doubt, a simple pleasure of the Main Street experience but one that can be enjoyed in just a few minutes or you can sit back and relax for hours on end. If you can spare the time, this could be an incredibly good place off the beaten path in the parks to think and take a step back from the troubles of the world for even a brief moment. If you've been following along with the site for a while you likely know how much I enjoy this simple piece of the magic. Tucked away over at Disney's Wilderness Lodge, this vastly overlooked little room unveils the real history of Walt Disney's train obsession that often culminated into larger than life theme park steam engine iterations. It was no secret that Walt loved steam engines and Walt's Carolwood estate was perhaps the most striking example of that larger than life love of a hobby that we can still appreciate today. Walt's Carolwood estate was perhaps one of his most unique projects. Around the home, Walt built an incredibly elaborate miniature railroad and this little room in the heart of the Boulder Ridge Villas at Wilderness Lodge is a tribute to that hobby of the man who started it all. The Carolwood room is cleverly placed out of site of most guests. As you enter Wilderness Lodge head out the right exit near the gift shop and follow the path down to the Villa lobby area. As soon as you enter the door head to your right and you'll be in the heart of this classic room. I wont go into vast detail because I did that in our article - Outstanding Disney History Hiding in Plain Sight: The Carolwood Room. However, this little room is an incredible place to escape for a few brief moments. There's a beautiful fireplace, big comfy chairs, and you're steps away from one of the most incredible views of Bay Lake you'll find anywhere on property! Don't forget to stop by Geyser Point for a great cheeseburger and an even better atmosphere. If you liked this post, be sure to check out other recent articles! As always, if you have thoughts, concerns, questions, or even some tips of your own to share, don't hesitate to reach out to us on Facebook or your favorite social media platform. Give us a follow while you're there, and we'll keep the conversation going in the future. We're not the largest Disney community, but we're one that's there and one that listens. Thanks for reading and have a wonderful day wherever you are!